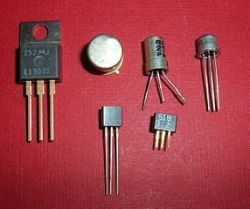 Transistors are my most favorite and most used electrical components. 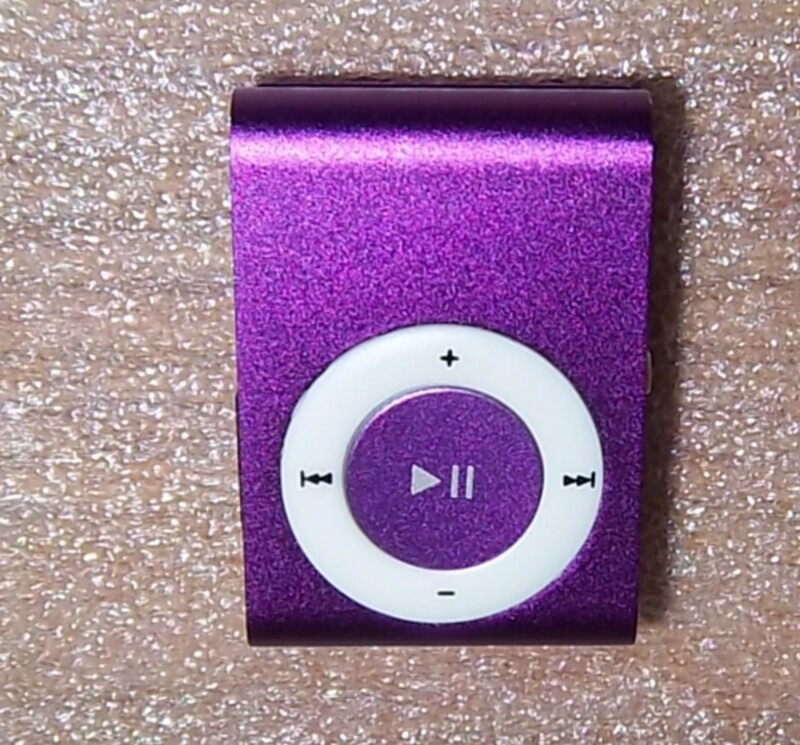 I can only a handful of projects that I have built which did not require the use of one of these devices. The most common types of transistors are Bipolar Junction Transistor (BJT) and Field Effect Transistor (FET). The BJT consists of a thin layer of n-type or p-type semiconductor sandwiched between two layers of a semiconductor of the opposite type. This is a cross section of some basic applications of BJT transistors. 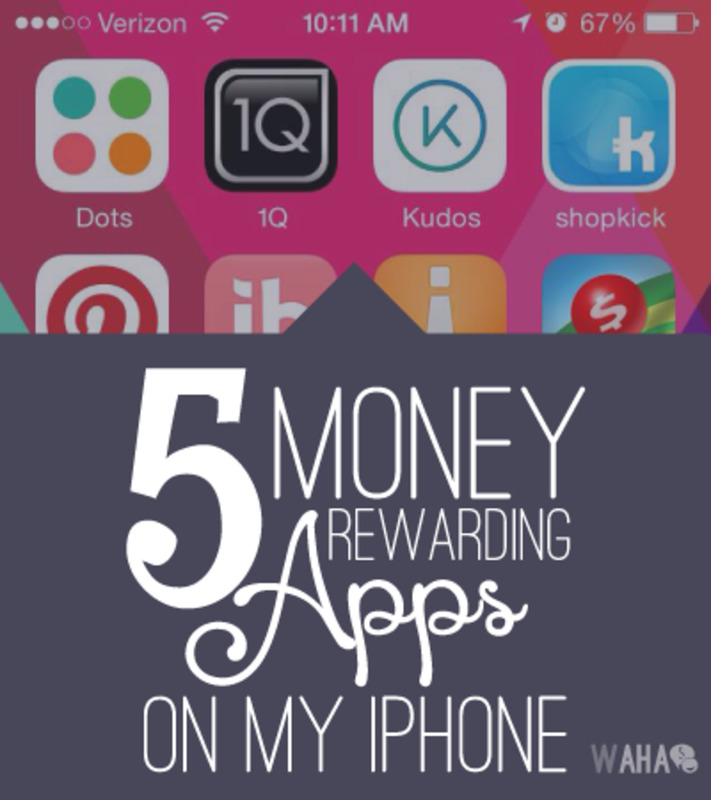 Here I use them in making a selection of educational and fun projects. Building one or two of these is great way for newbies to improve their Knowledge of electronics. Every transistor in the design increases the amplification by a factor which is equivalent to the current gain of the transistor; so the three of them in this diagram can easily generate an amplification that is close to 200 x 200 x 200 = 8,000,000. The base only needs a very weak signal to enable the amplifier to go into saturation. If you were to add a short copper wire antenna of about 3 inches to the base of the amplifier above; it can be used to detect the presence of mains ac current. It does not need to make direct contact with the mains cable in order to detect the presence of the current. The LED will flash and the buzzer will produce a hum to indicate the presence. 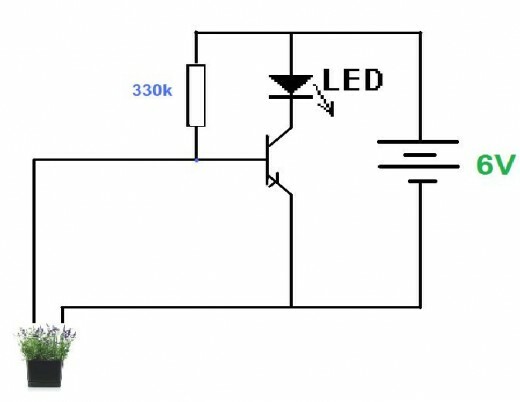 This circuit will tell you when soil in the flower pot has run dry. The soil/ water mixture forms basically a base resistor and as the water dries up the resistance increases and the collector current decreases. 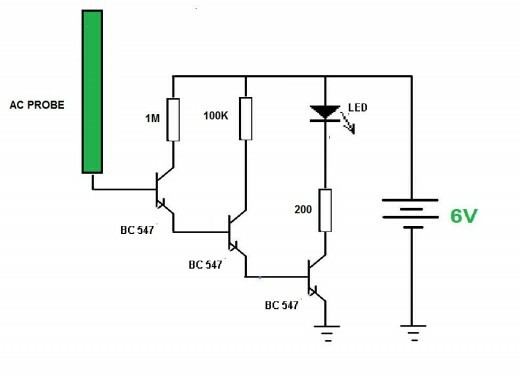 When the soil gets really dry; the collector current drops to the point where the voltage drop across the LED is not sufficient to light it up. 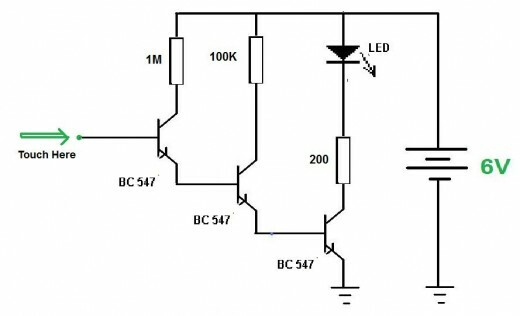 This circuit makes it possible to activate a 12 Volts relay by a much lesser voltage such as 6 Volts power supply. The idea employed in the circuit is to apply an initial pulse of 12 Volts to pull the pole in then to hold it with just 6 Volts. 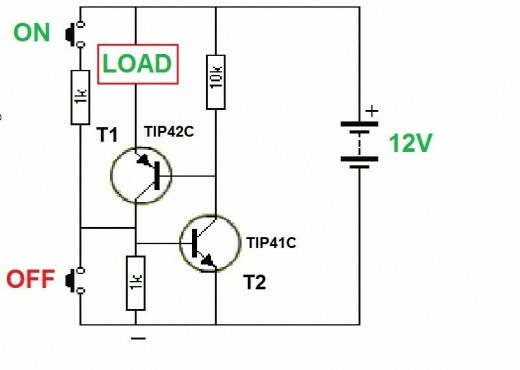 Ideally a relay which is rated designed for operation at 12V, will pull-in at 12V but will be able to hold with just 6V. The storage capacitor is charged via the 1kohm resistor through the diode D1 before the transistors are switched on. 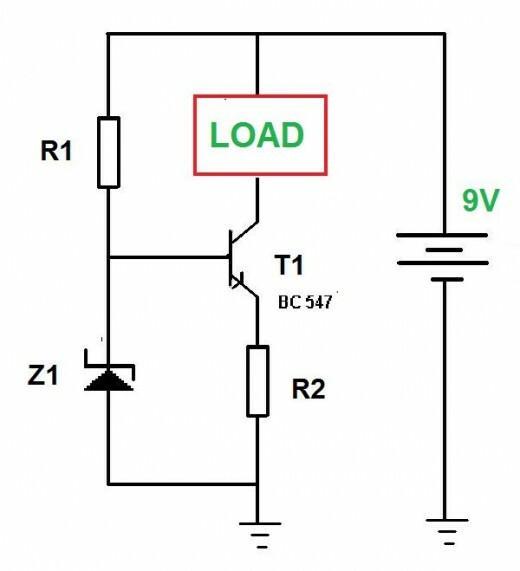 When the two transistors are turned on by a signal which is applied to the base of T1, the voltage on the capacitor adds to voltage of the 6V supply so that voltage applied to relay is very close 12V. The capacitor will gradually discharge but by that time the relay would have successfully pulled-in and will be able to hold with just 6V. 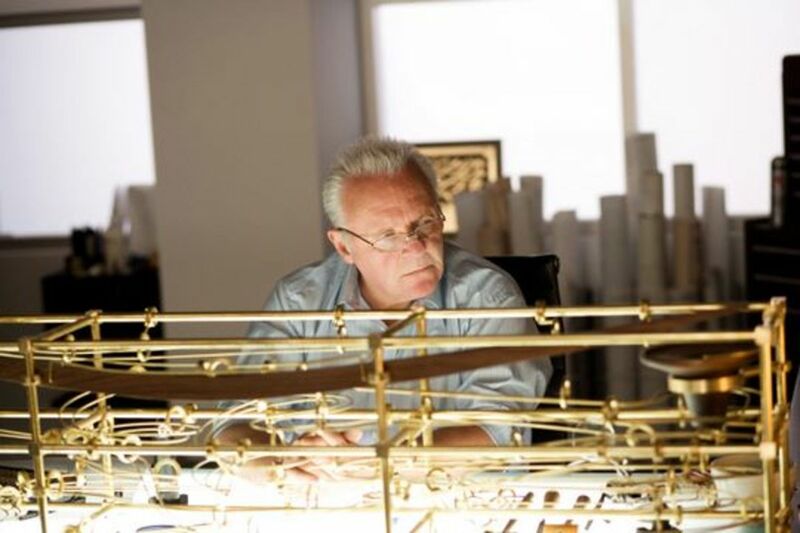 This device will sense the presence of light and will trigger an alarm. The circuit is a basic free-running oscillator with its output used to drive one transistor amplifier. 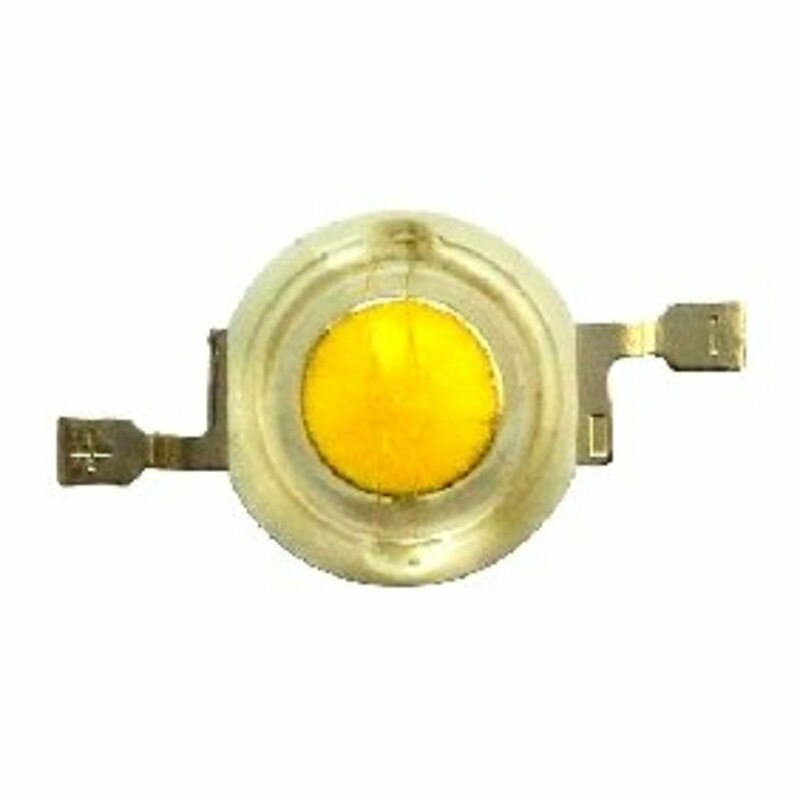 The Light Dependent Resistor (LDR) is the light sensing component. Without the presence light the LDR is has a very high resistance. 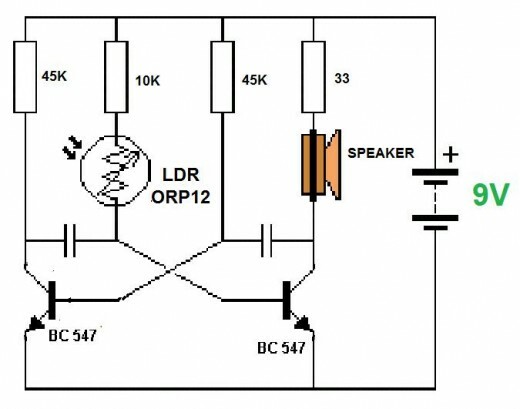 The oscillator will not oscillate until light falls on the LDR. When the device is exposed to light, the resistance of the LDR drops drastically and you can here alarm buzzing. 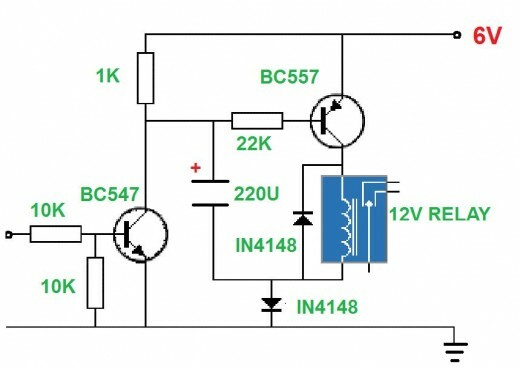 If you want to make use of an SRC and you cannot find any; you can simply improvise with BJT transistors. The Diagram above is the basic arrangement. The OFF button takes away the voltage applied to the base transistor of T2, hence shutting down the SCR. The OFF button can alternatively be paced across the two transistors to act as kind of current shunt and the circuit will just as well turn off. The On button is used to turn the make-shift SCR. 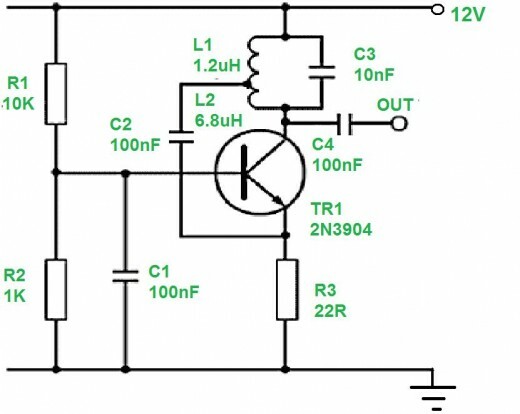 This circuit will easily generate square oscillations over a wide range of frequencies which are dependent on the values of capacitors (C1, C2,) and the resistors (R2, R3). 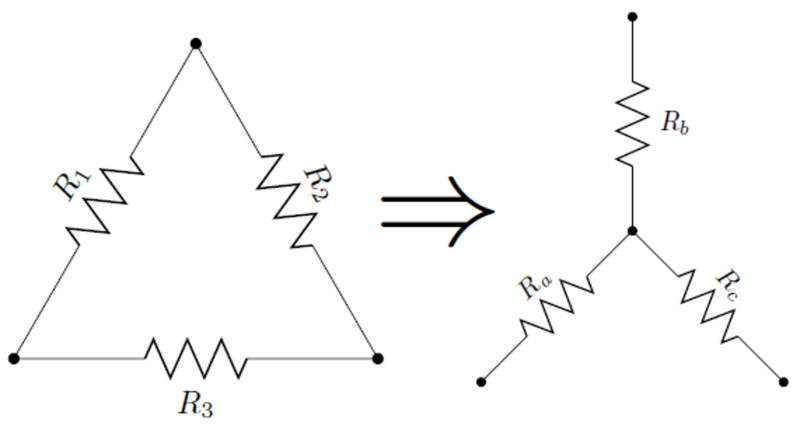 It is also possible to vary the duty cycle of the oscillations by adjusting the values of these components. The output of this circuit can be used to drive other circuits and component. It is very easy technique with which to generate oscillations. The Hartley oscillator belongs to the class of LC oscillators which are used for generating a wide range of sine wave frequencies. They are characterized by having an LC tank circuit in collector side of the amplifier and the inductor in the tank circuit is center tapped. This is another widely used LC based sine wave oscillator. It is similar to the Hartley oscillator but with the difference that it has a tapping at the mid-point of the capacitive side of the tank circuit.